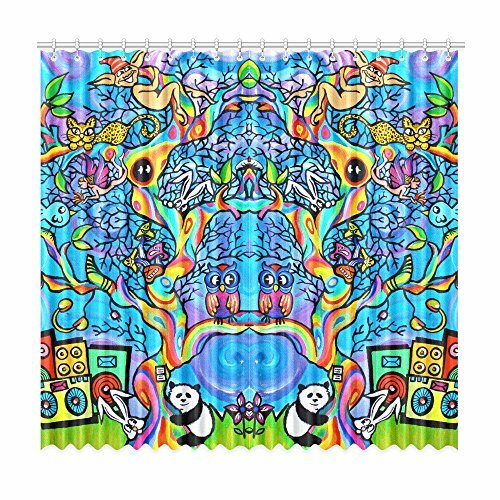 Unique Debora Customize Home Decorator Tree Of Life, Cute Animals Window Curtain Blackout Curtains Living Room Bedroom Curtain Two-piece Style 50"x84"
Type: 100% Polyester, 9 Holes. Made from 100% polyester. Non-toxic, tasteless, excluding volatile chemical composition. Blocks out the most of sunlight to any room anytime of the day. Fabric content: 50"x84"(Two Pieces), 100-percent polyester. Featured with rustproof stainless steel 9 holes. Machine washable, dry cleaning suitable, easy-to-clean. Great color combination will make your home much more elegant. View More In Window Treatment Sets. If you have any questions about this product by Artsadd, contact us by completing and submitting the form below. If you are looking for a specif part number, please include it with your message. Unique Debora Customize Home Decorator The Jungle Animals Window Curtain Blackout Curtains Living Room Bedroom Curtain Two-piece Style 52"x108"
Unique Debora Customize Home Decorator Tree Of Life, Cute Animals Window Curtain Blackout Curtains Living Room Bedroom Curtain Two-piece Style 52"x120"